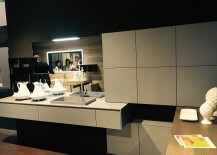 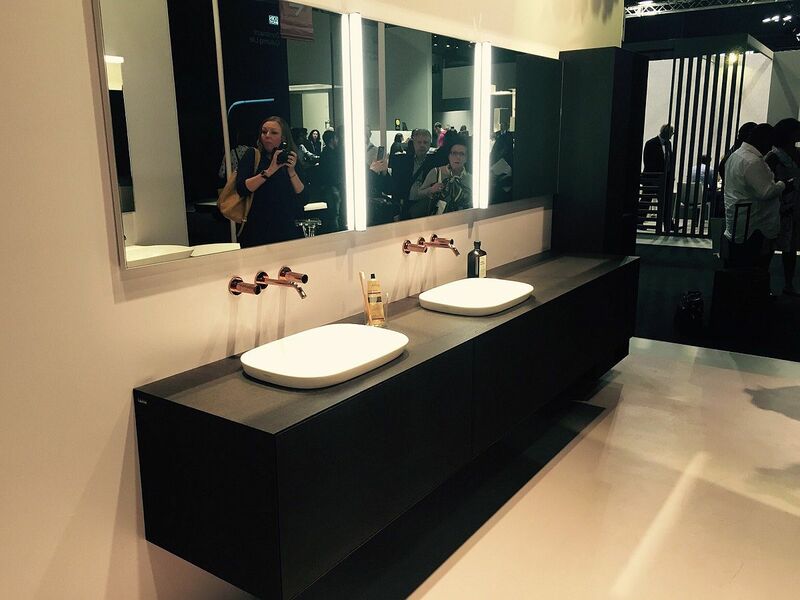 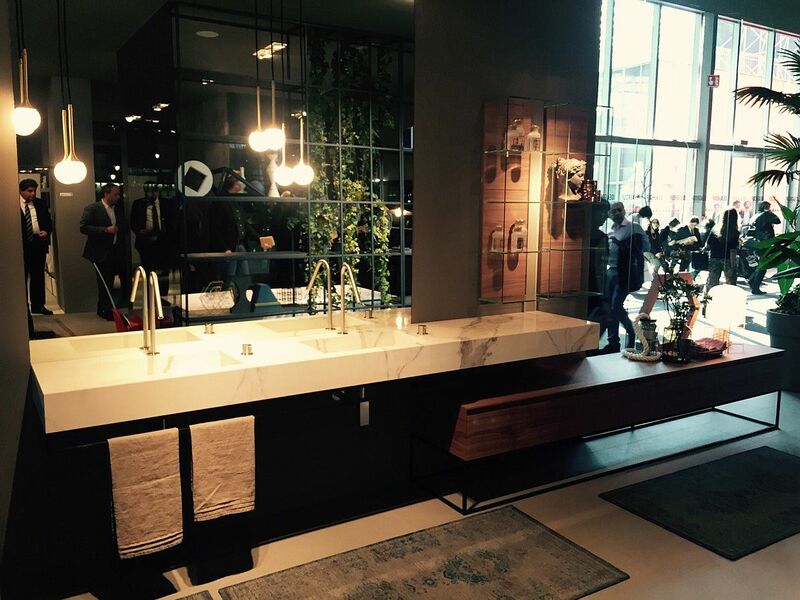 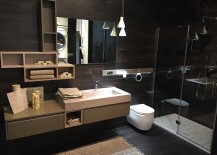 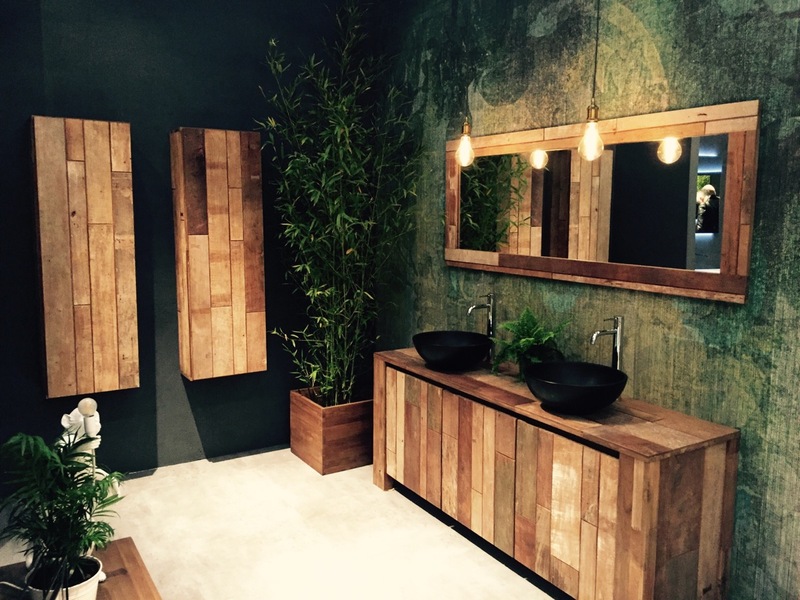 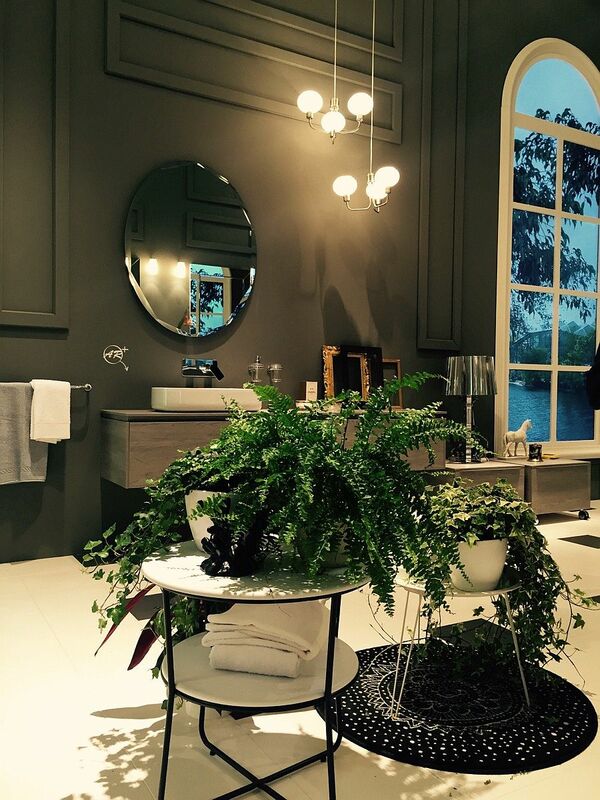 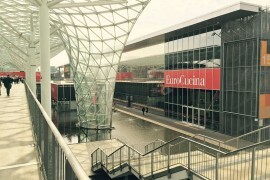 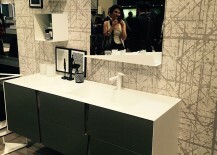 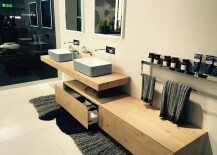 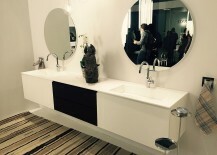 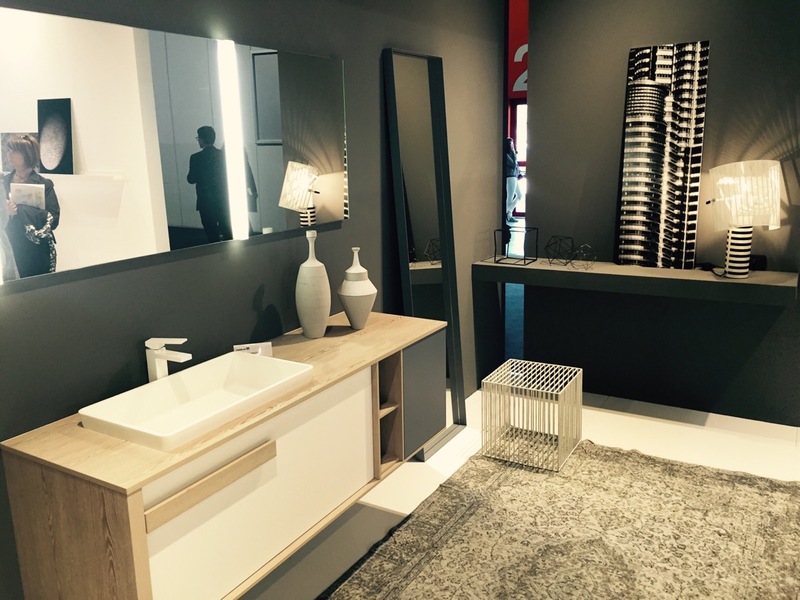 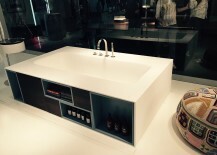 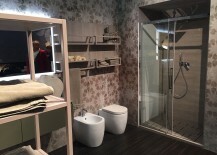 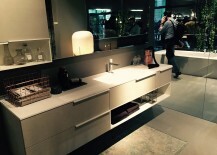 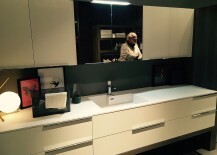 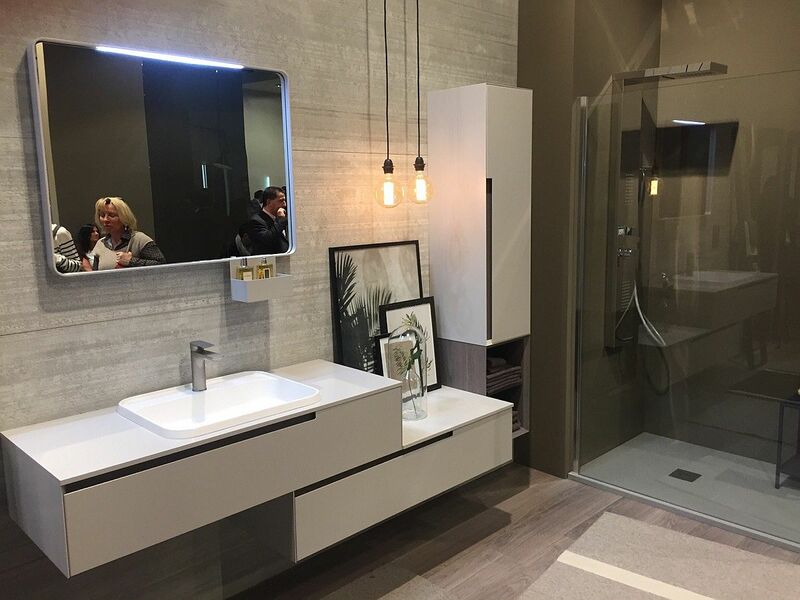 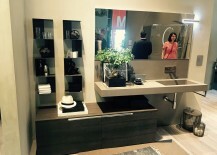 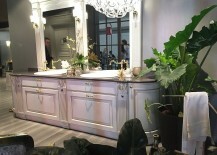 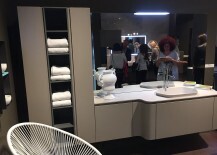 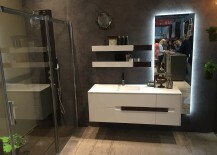 It is day three of the furnishing and design extravaganza at the Milan Fairgrounds, and we move on from the amazing EuroCucina 2016 and explore a whole lot more, including the awesome International Bathroom Exhibition. 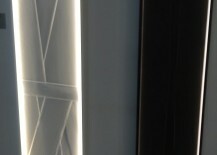 Once again, we will bring you Live Updates throughout the day, thanks to our man on the ground, Alex Ion. 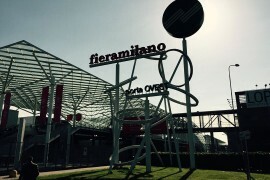 It promises to be a day filled with opulent, relaxing, and of course, world-class decor, along with the usual Salone del Mobile charm! 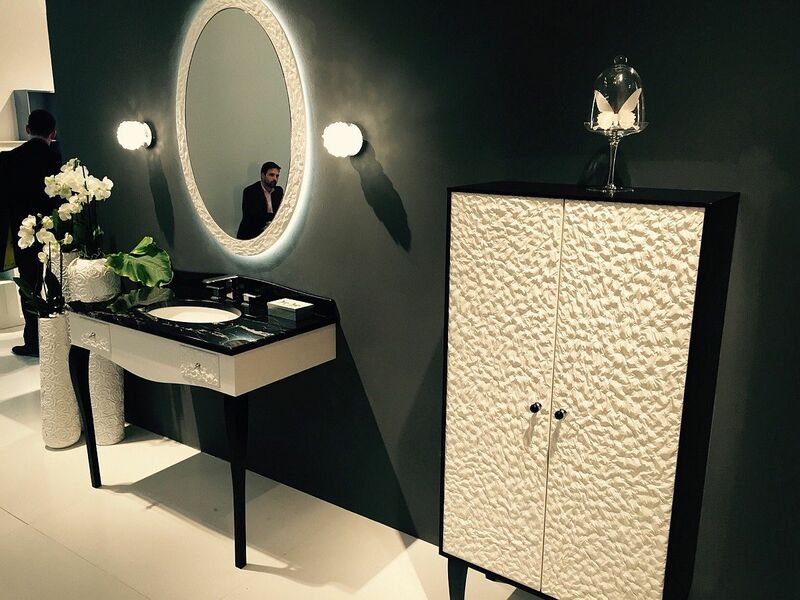 [17:21] Distinctly luxurious, clad in marble-carved finishes and bringing forward a distinctly ‘masculine’ appeal, the George Collection by Falper on display is a showstopper indeed. 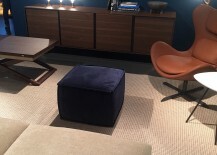 Unlike anything else, this is perfect for the bachelor’s suite and beyond. 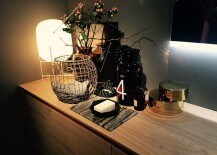 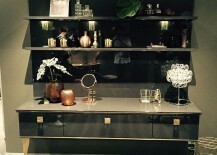 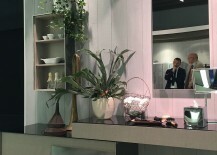 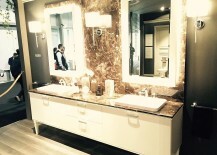 [16:48] The inda display of polished (and at times glitzy) bathroom décor, accessories and storage units left us dazzled. 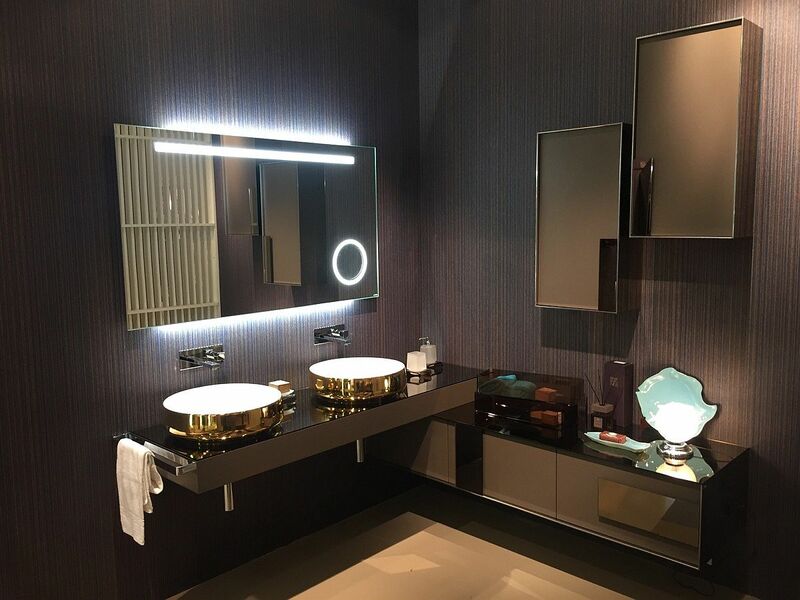 With sinks that exude a golden sheen and mirrored finishes, these bathrooms are perfect for those who adore a glamorous look. 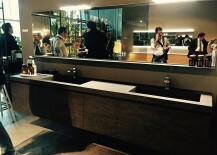 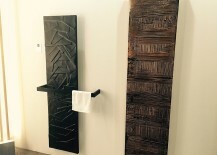 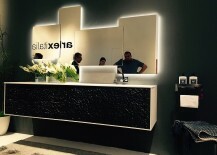 [16:34] There is surely something special and charming about the bathrooms from ArlexItalia at Salone del Bagno 2016 that have been hand-crafted with care and curated panache. 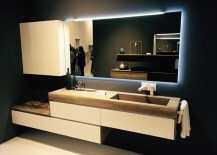 Sure, it’s Italian design and contemporary aesthetics at their best. 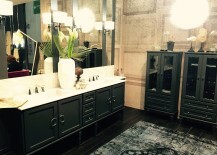 But much more than that, there is a dash of Art Deco flair in here that separates these bathrooms from so many others. 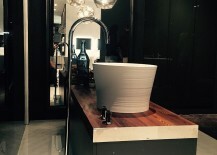 It is just those tiny details that make a huge difference! 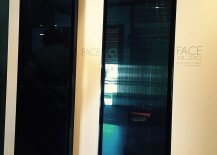 IDEAGROUP – Making Heads Turn! 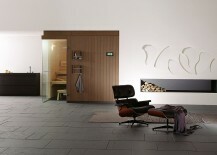 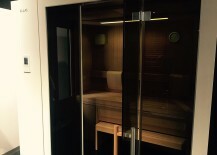 KLAFS Saunas: Sweating It Out in Style! 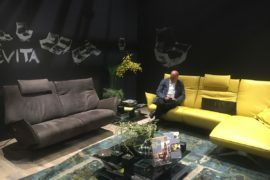 [15:44] Who would not love to spend some time in a ‘sauna of the future’ that has pretty much every feature you can imagine and then a few more? 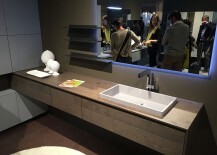 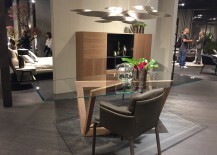 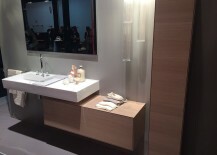 Coming across one from KLAFS amidst all the rush of Salone del Mobile does feel like an absolute tease. 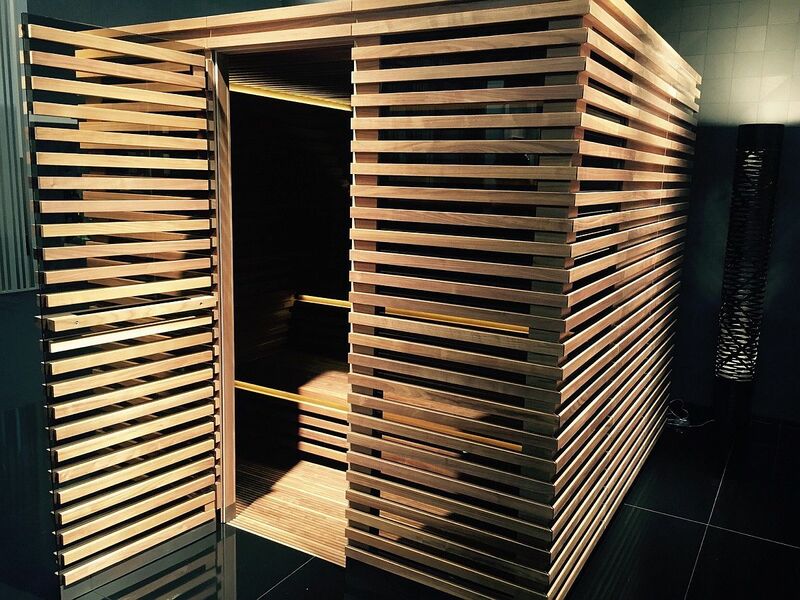 Smart, Zen-inspired, clean in design and controlled from even your smartphone or tablet, we really would like some time inside these saunas… Maybe another day then! 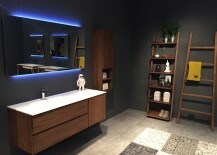 [15:18] Maximizing space is an essential part of bathroom design that is increasingly the focus of big brands such as Laufen Bathrooms. 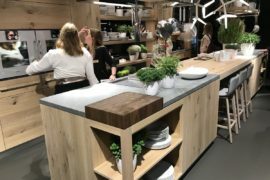 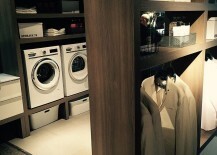 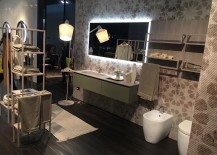 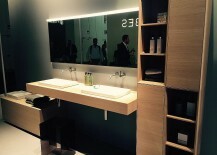 From tiny corner shower zones to sleek floating vanities that save up on legroom, we see this year’s design in Milan focusing on space-saving, custom-crafted solutions. 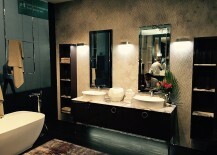 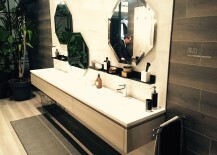 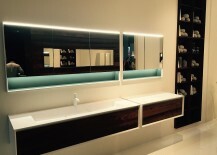 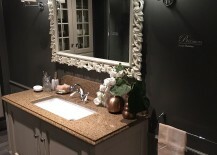 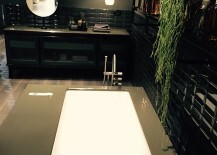 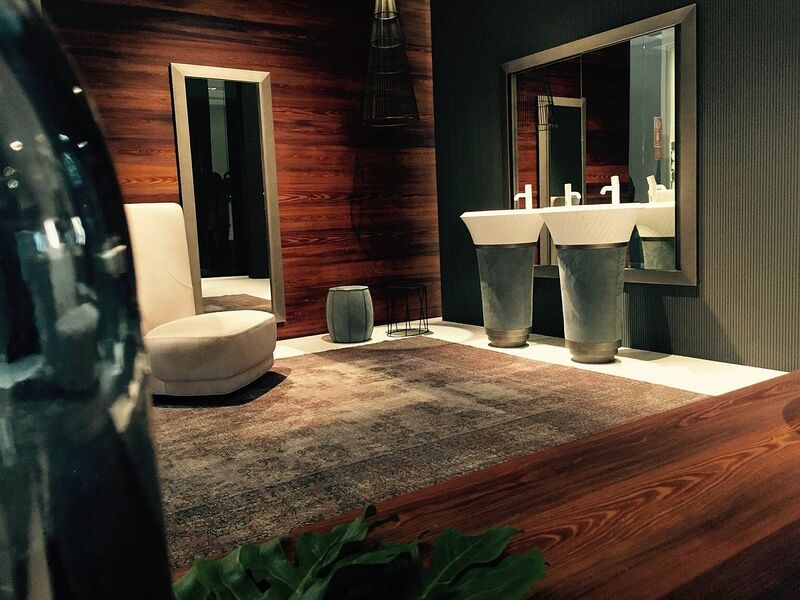 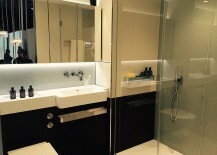 Biselarte creates bathrooms filled with glassy glint! 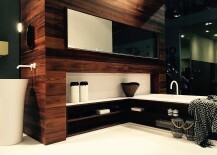 IDISTUDIO: For the Love of Wood! 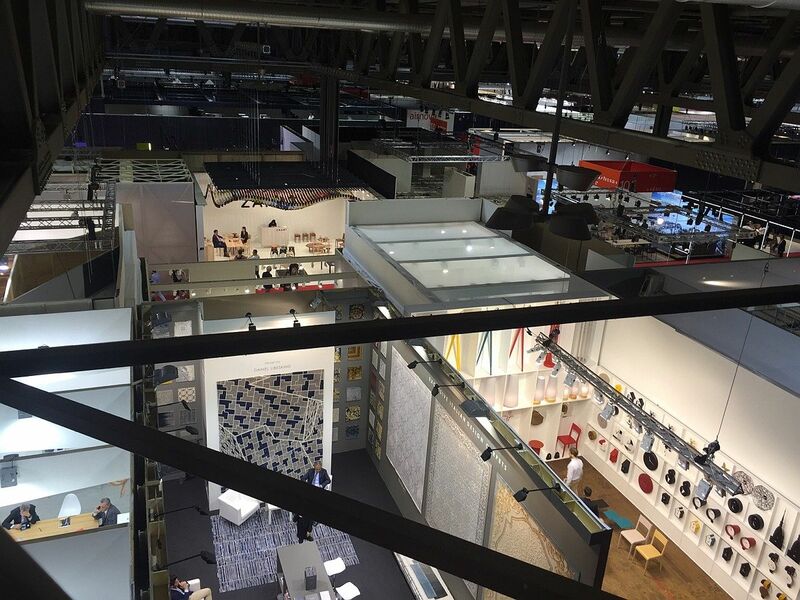 [13:45] Reinventing the past and setting new trends; this is what Salone del Mobile is all about, and embracing this spirit is Mobilcrab. 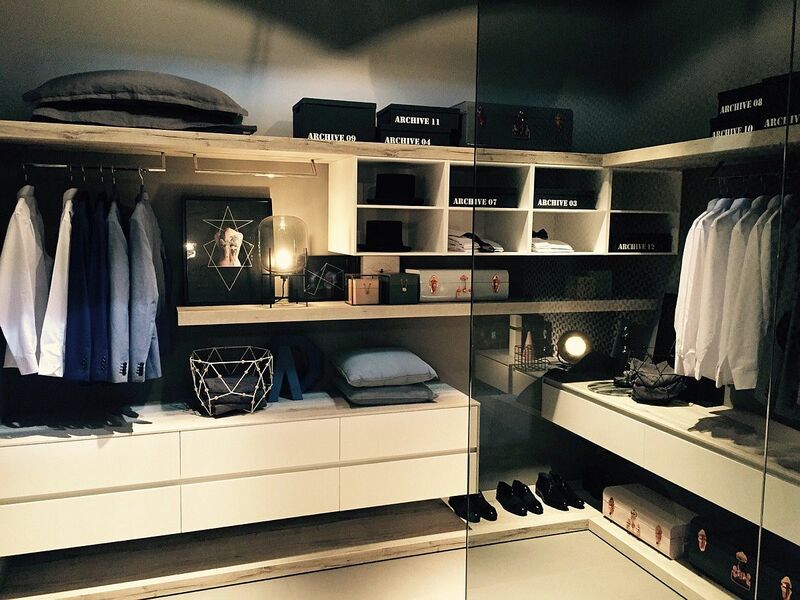 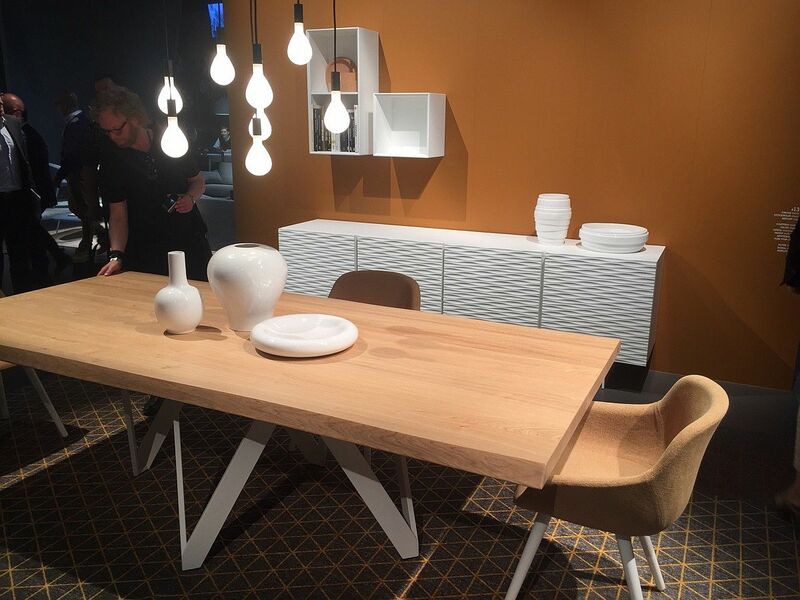 Not only did we get our first glimpse of the new In & Out 2016 Collection here, but also restyled Plan and Infinity Collections were on display. 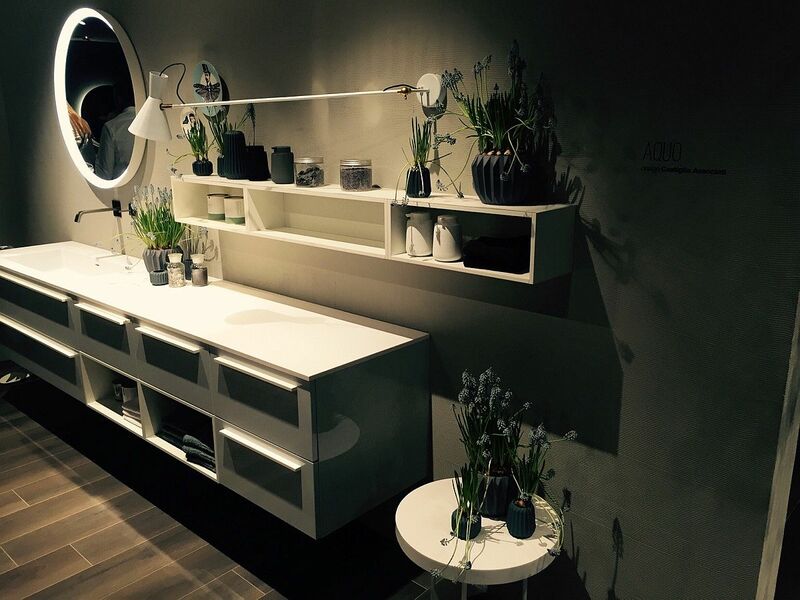 Beautifully minimal and adaptable! 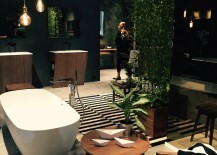 [13:35] This Italian trio offers bathrooms that range from those with strong industrial and rustic elements to ones that floor you with simple, clean contemporary design. 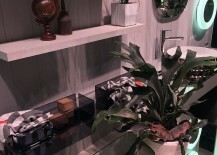 With fun patterns, clever, ingenious designs and of course refreshing accents like the ‘Leaf Collection’, there is plenty to admire here. 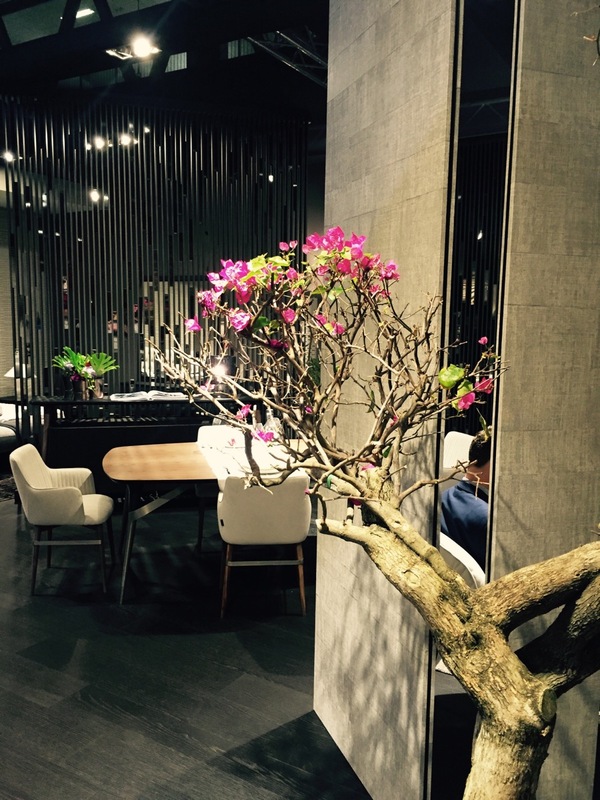 Dazzling and Warm World of Cinier! 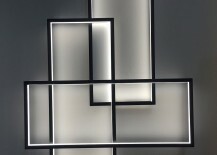 [13:22] Step into the Cinier stand and you will be simply enchanted by their fabulous LT wall lighting system. 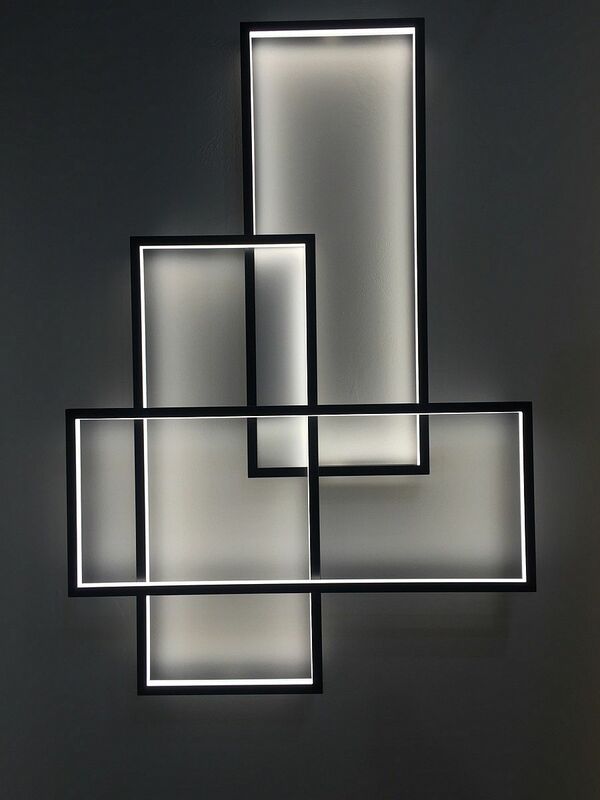 More than just mere illumination, this is actually a captivating work of art that uses 600 individual LED lights to completely alter the ambiance of any room in which it sits. 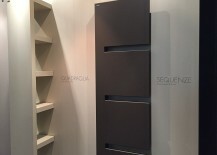 Then there is the amazing lineup of Olycale radiators and towel warmers, and of course the artistic Greenor decorative fan coils. 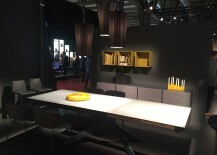 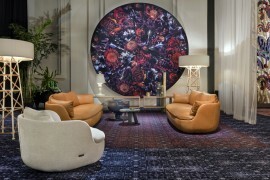 This does look more like an exhibition of modern art than a design fair, and that is something you just have to admire! 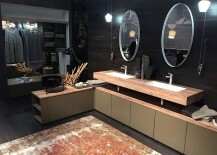 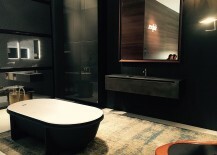 [13:09] If you love industrial design and a dash of dark metallic magic combined with oak, walnut and a marble sheen, the Archeda Bathrooms stand at this year’s Milan show will fill you with joy. 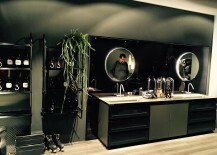 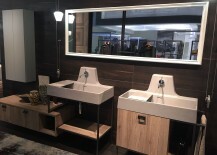 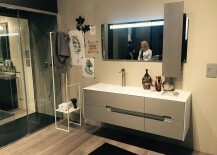 Designed by Dario Poles, the new collection on display combines classy, ‘iron coated’ bathroom sinks and décor with modern storage units and floating wooden vanities to offer a diverse textural experience. 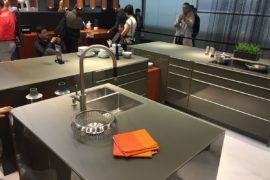 [12:24] Readers of Decoist know Scavolini all too well that we constantly keep an eye on their latest kitchen and bathroom collections and bring them to you regularly. 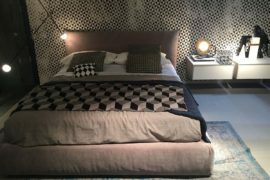 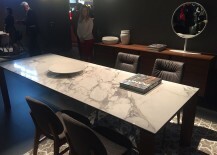 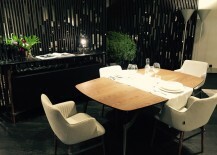 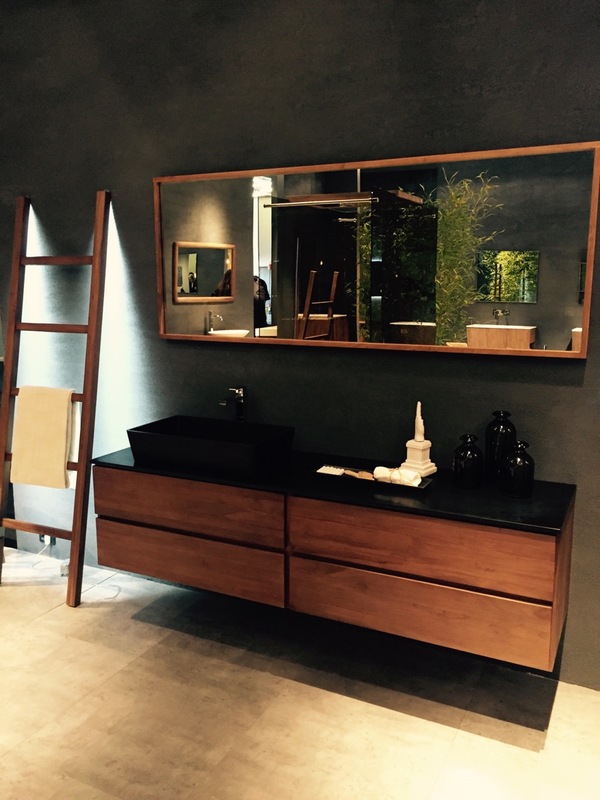 But seeing many of these firsthand at Salone del Mobile 2016 only makes you love them even more and have greater appreciation for the immense quality and craftsmanship that they exude. 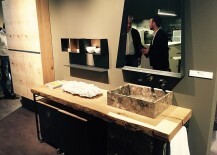 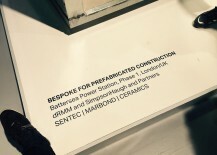 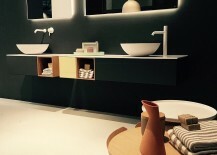 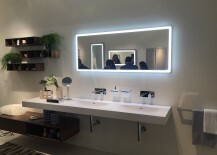 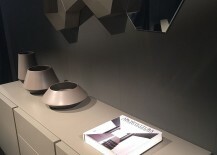 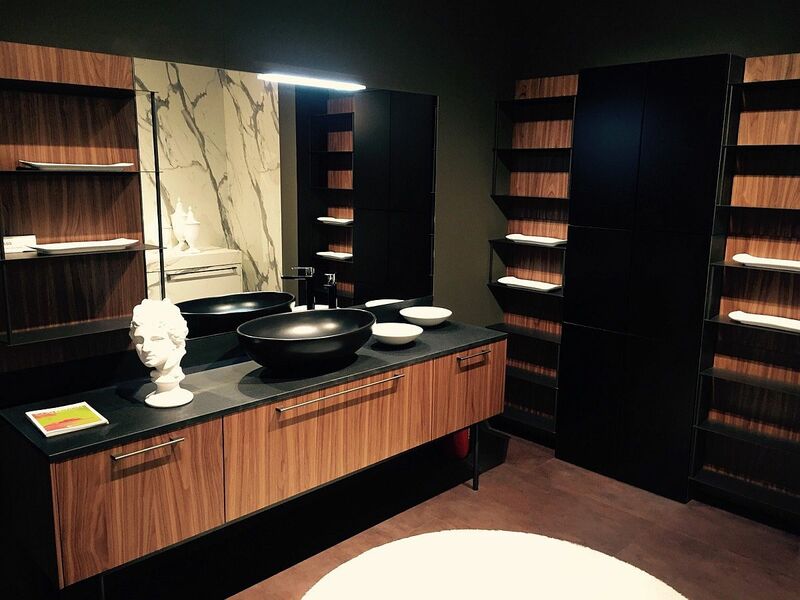 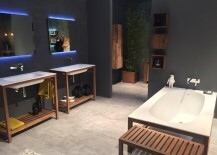 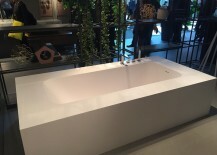 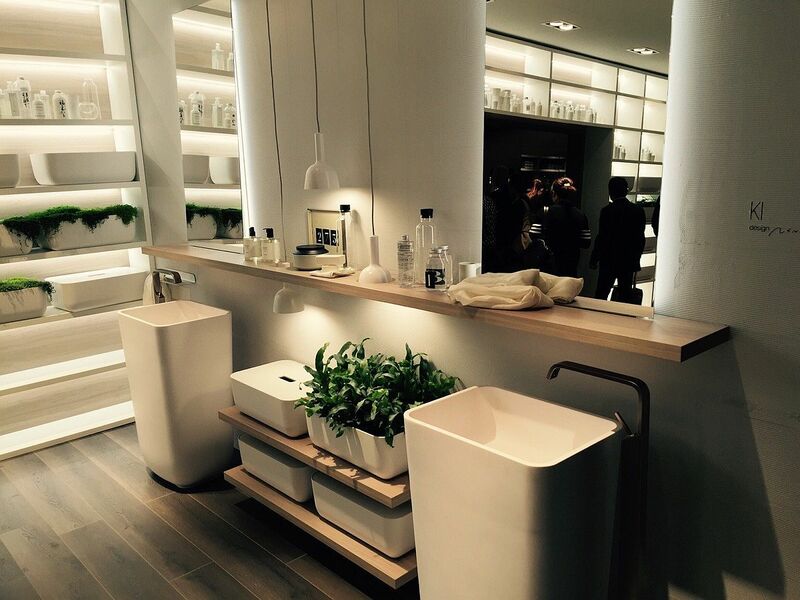 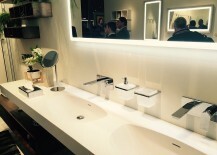 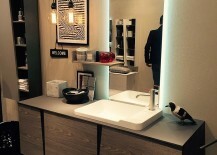 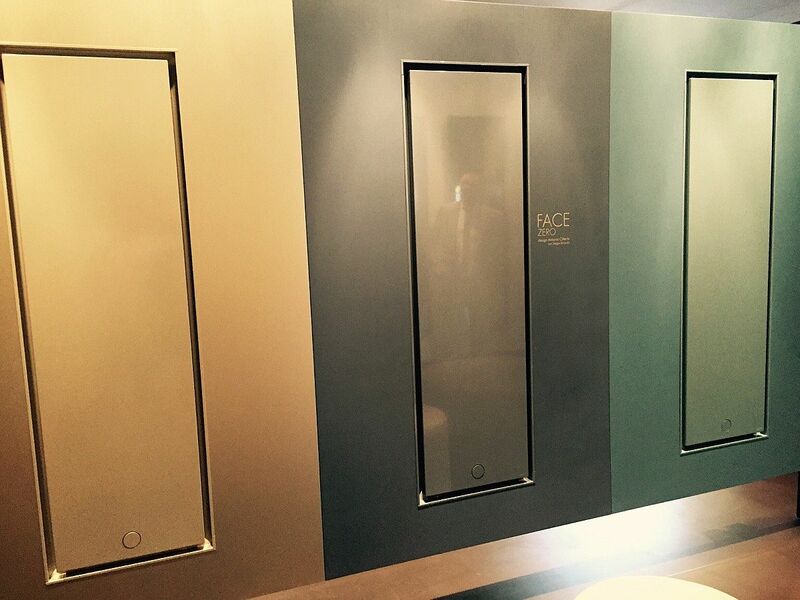 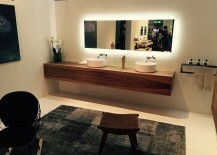 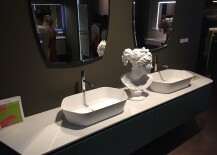 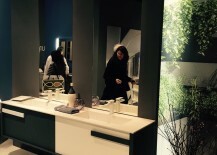 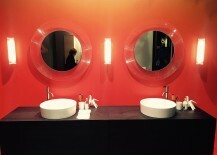 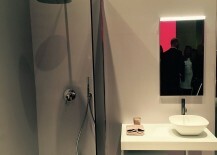 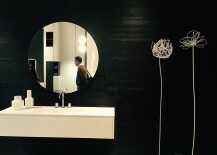 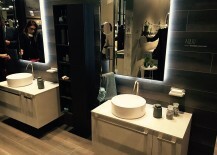 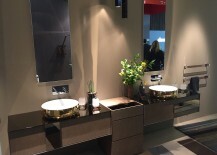 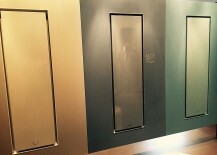 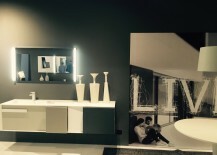 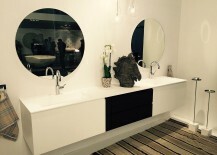 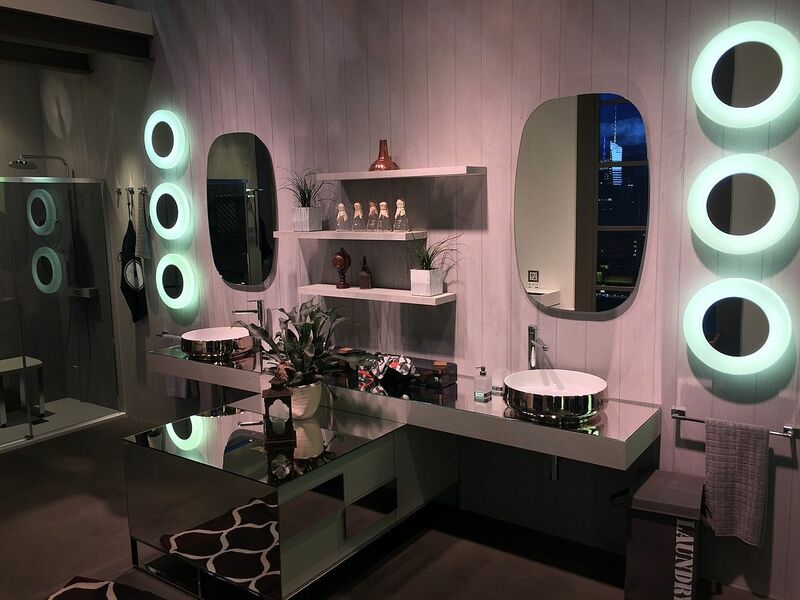 Part of the International Bathroom Exhibition at Salone del Mobile, we have all our favorite bathrooms such as Aquo, Baltimora, and Magnifica, and also we had our very first glimpse of Ki. 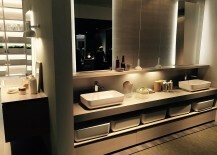 Impressive as always! 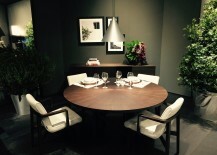 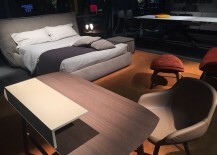 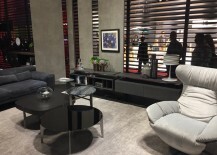 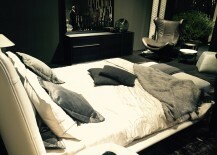 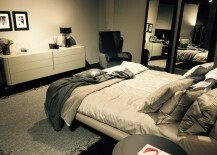 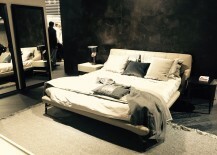 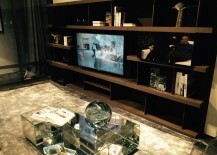 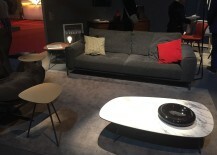 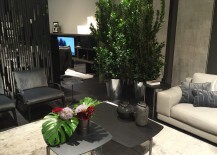 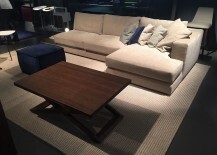 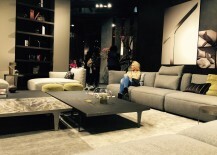 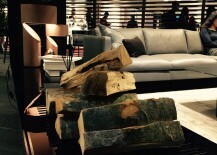 Natuzzi – Comfort ala Italian! 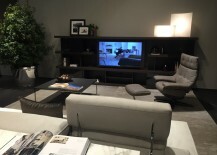 [11:52] You expect nothing short of spectacular from Natuzzi – one of Italy’s largest home décor manufacturers, and they live up to this promise once again. 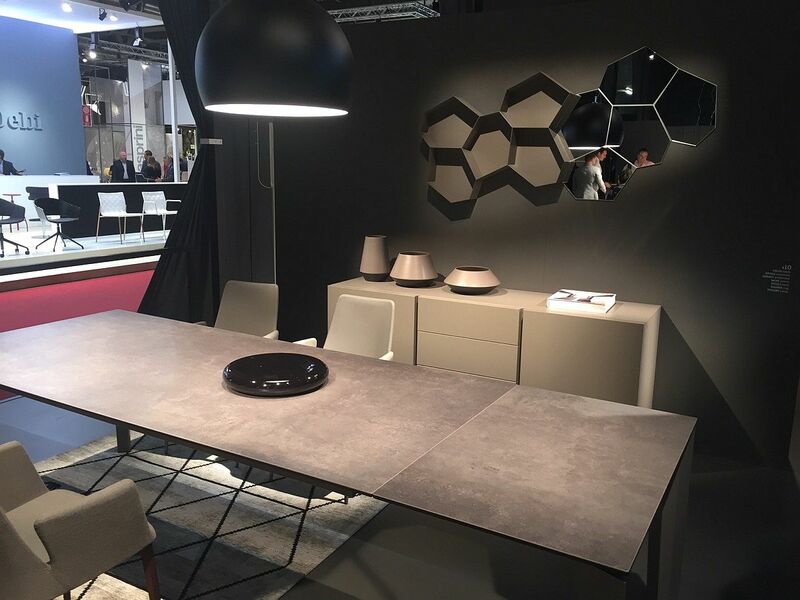 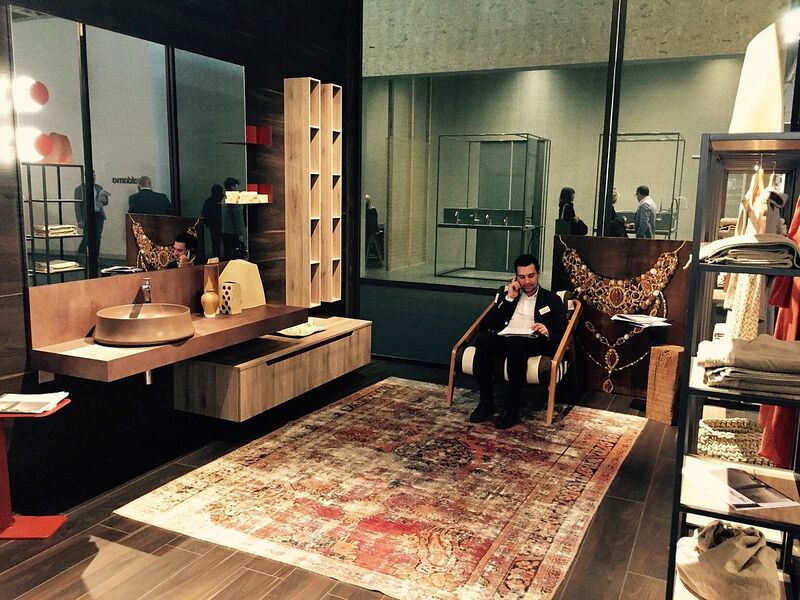 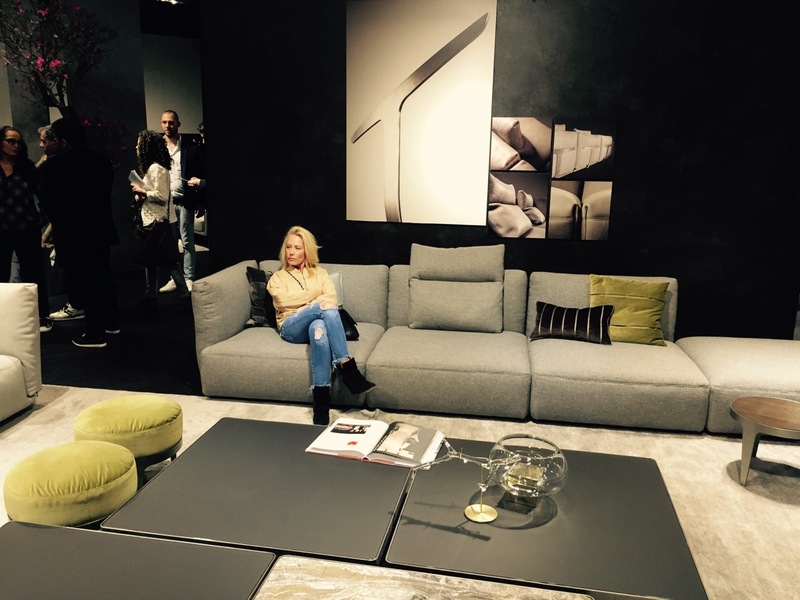 Their Salone del Mobile 2016 stand is filled with the latest goodies that will help you to take a break from the rush and just find a comfy, serene moment in middle of the gala event. 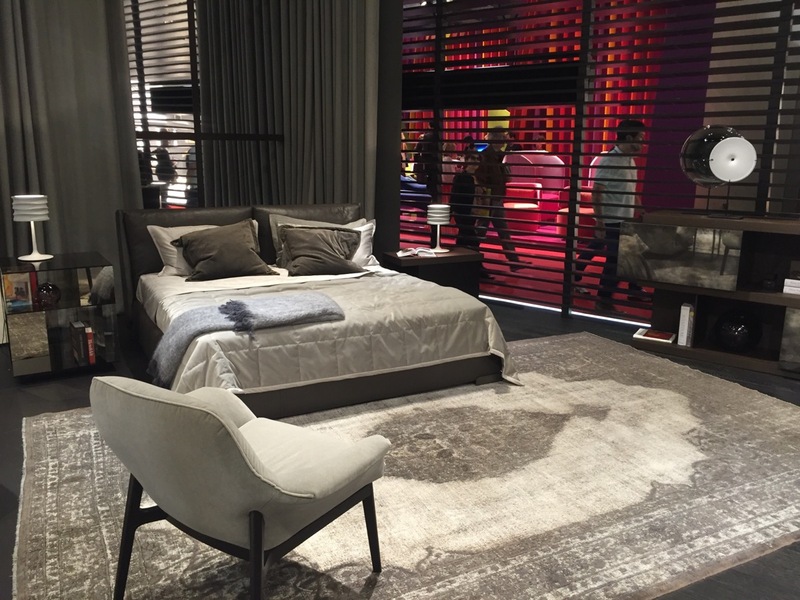 This year the firm focuses on harmony, relaxation and luxury with collections such as Accademia by Bernhardt & Vella, the Ilia recliner by Mauro Lipparini, Fenice bed and the gorgeous Ido Sofa. 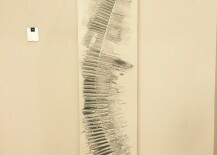 And all that is just the tip of the iceberg! 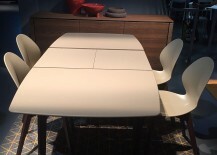 [11:15] Starting as a small artisanal business in 1923 with the production of the ‘Marocca’ Chair, Calligaris today boasts of an extensive and amazing lineup of modern décor that range from the fabulous dining room furniture you see at their Salone del Mobile stand to beautiful lighting fixtures that promse to complete your home. 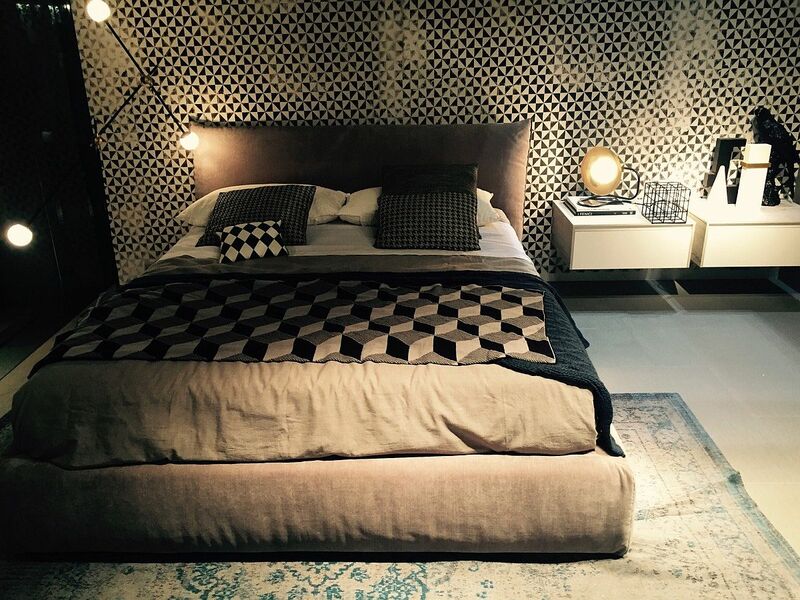 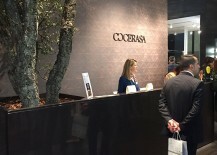 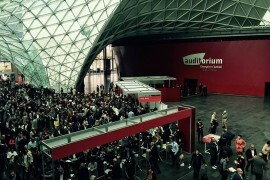 A great way to start our adventurous third day in Milan’s magical design fair!